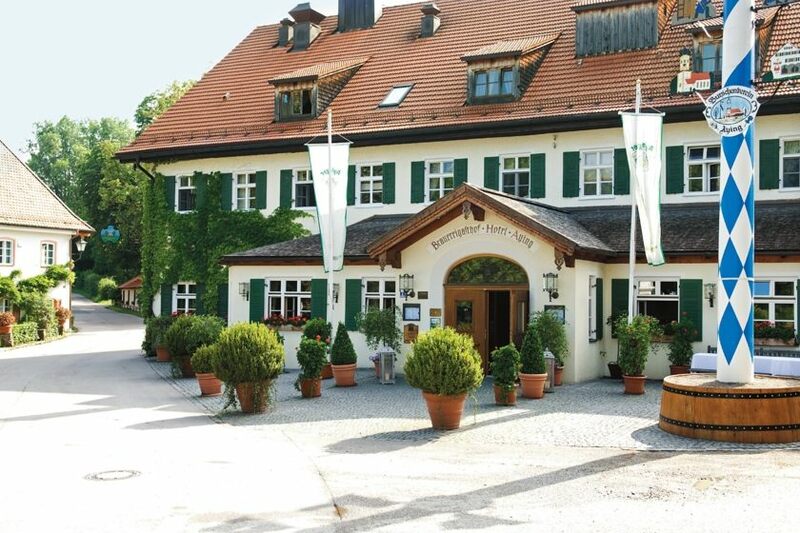 The four star superior Brauereigasthof Hotel Aying is located at the heart of the scenic village square of Aying, which is community situated in upper Bavaria, just 25 kilometres south east of Munich, Bavaria's state capital. 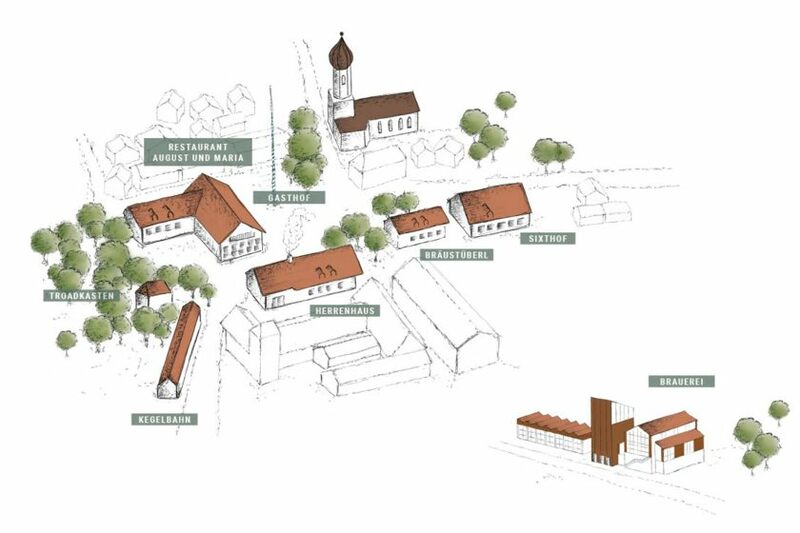 This historic ensemble of guest-house and manor house, the museum Sixthof, the own brewery Aying and additional exclusive premises is one of its kind. 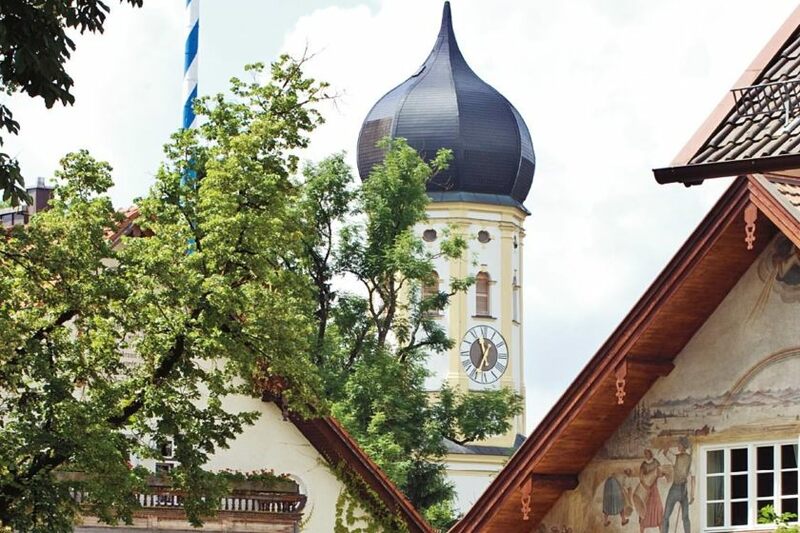 Following a centuries old family tradition, modernity and historic ways are inasmuch combined as Bavarian flair and enhanced convenience. Here you can stay at an up to date yet historic ambiance; enjoy top-notch cuisine and encounter a unheard-of conditions for private festivities and professional meetings. Many of our guests come back, and they do so often. Our secret? There is no secret! Everything is aligned towards the good of the guests. Check-in from 2 p.m. Check-out until 12 noon. Pets allowed (subject to charge). Next public transport stop: Aying (S7). From the airport: Take the S8 to Munich East than change to S7 Direction Kreuzstraße. Travel-Time: approx. 1 hour. From the main train station (Hauptbahnhof München): We can be reached on local public trains (S-Bahn) within roughly 40 minutes. Take the line “S7” bound for Kreuzstraße until Aying station. 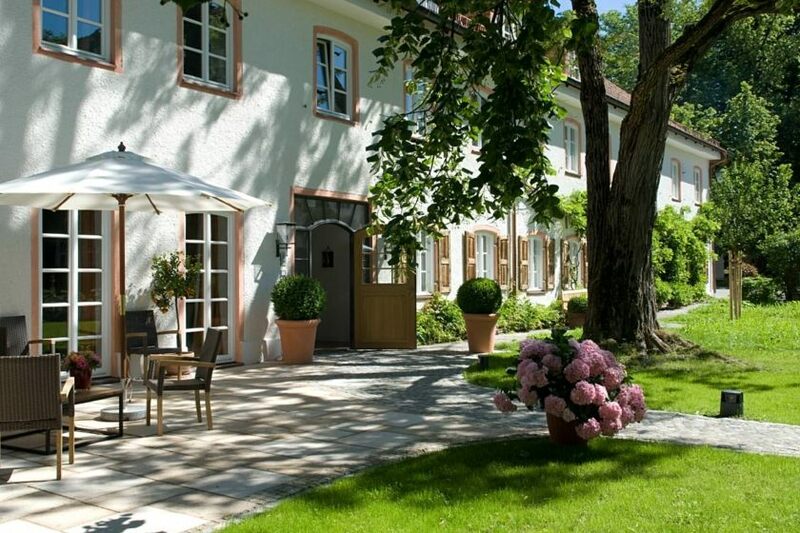 The Brauereigasthof Hotel Aying is located in the city centre, roughly a 10 minutes walk away from the train station. Guests of the hotel will be picked up, of course, by prior arrangement. A spacious room with a separate sitting area. All rooms are equipped with a phone, a radio, a flat-screen TV, and WiFi, they all have a separate bathroom. For free, the following amenities are waiting for you: a variety of daily newspapers, TV is equipped with a satellite receiver, Pay-Sports-TV, beauty products at the bathroom, slippers, a parking space, and a rich breakfast buffet with fresh delicacies of the region. A separate living and sleeping area, an open fireplace, or a historic tiled stove, and a spacious bathroom made of natural stone. Reside in a dream with an all around comfort-factor. All rooms at the Manor House are equipped with a mini-bar, a phone, radio, a flat screen TV, and WiFi. Each room has a separate bathroom. For free, the following amenities are waiting for you: a variety of daily newspapers, TV is equipped with a satellite receiver, Pay-Sports-TV, beauty products at the bathroom, slippers, a parking space, and a rich breakfast buffet with fresh delicacies of the region. Snug and simply to there to be at ease. All rooms are equipped with a phone, a radio, a flat-screen TV, and WiFi, they all have a separate bathroom. For free, the following amenities are waiting for you: a variety of daily newspapers, TV is equipped with a satellite receiver, Pay-Sports-TV, beauty products at the bathroom, slippers, a parking space, and a rich breakfast buffet with fresh delicacies of the region.